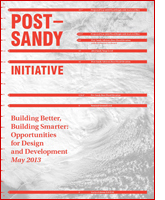 Building Better, Building Smarter: Opportunities for Design and Development was published in early 2013 by the AIANY&apos;s Post-Sandy Initiative, a collaborative organized to address the impacts of the storm and effects of future climate change on NYC. As part of this effort Nautilus&apos; President, Bonnie A. Harken, AIA & APA co-chaired a multi-disciplinary working group on waterfront issues. Exciting cross-cultural concepts for the redevelopment of port areas were captured in the Brooklyn-Rotterdam Waterfront Exchange News, a newspaper designed and edited by Nautilus with 17 articles by a variety of Dutch and US authors on topics ranging from how to combine green tech research & development with renewable energy industries, to linking blue & green environmental networks and creating a climate-resilient community. 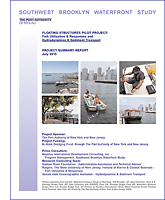 These articles explore ideas generated at the Brooklyn-Rotterdam Waterfront Exchange&apos;s workshop in New York City in Spring 2010. Idling at Zero, an article about politics and planning at the WTC site, features a quote from Bonnie Harken on her work on transportation systems and commuters at Ground Zero. A View from the Water&apos;s Edge is about Nautilus&apos; work on waterside activities in Newark - from boating to a Town Dock and new parks. West Harlem Waterfront Transformations is an eOculus article about panel discussion at the Center for Architecture and describes Nautilus&apos; work on Take Me to the River, a waterfront access and economic development study. Opening the Floodgates: West Harlem Fights for Access to Riverside Park describes Nautilus&apos; conceptual planning on Take Me to the River and announces their selection for a second phase of the project which includes detailed transportation & cultural plans and streetscape guidelines. 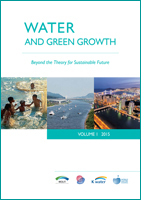 In Global Waterfronts: Green Growth, Great Rivers, and Port Cities, Spring 2013 Oculus, Harken summarizes Nautilus&apos; recent work shaping sustainable urban waterfronts and integrating them into their larger watersheds while helping to mold public and private policy and safeguard global water resources. Clients for these projects include the World Water Council, The Nature Conservancy&apos;s Great Rivers Partnership, and The Port Authority of New York & New Jersey. In Take a Stand on the Waterfront, an article appearing on the Viewpoint page of Aug/Sept 2009 Planning Magazine, Harken writes about how planners and urban designers can make a significant difference. In Over, Under, Around, and Through, Harken describes how New York architects including Nautilus International are rising to the challenges presented by major urban infrastructure, such as highways, electric substations, railroad tracks, and tunnels. In Peaceful Waters, Harken describes the international exchange she worked to create, bringing together high-level decision makers from New York and Amsterdam for a ground-breaking dialogue about current approaches to waterfront revitalization.